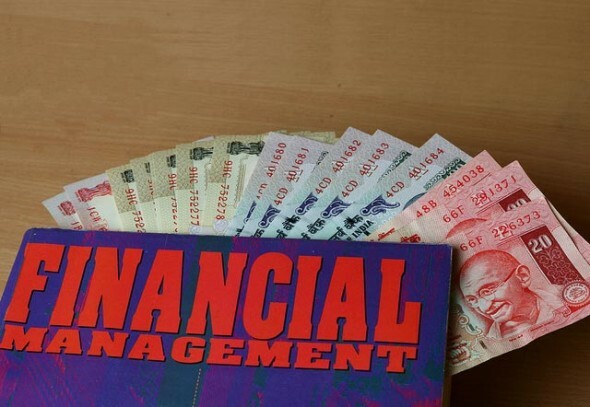 As educationalists clamor for making personal wealth management a mandatory subject in all management courses, the void that is faced by students transitioning to the employment phase remains wide and large. Early earning years are the most integral ones when it comes to learning the secrets of managing one’s money effectively. It is somewhat disturbing to note, however, that young earners fail to resist the candies that are bound to disturb their balance sheets, expensive car loans for instance. This article intends to share some time tested formulas of money management for young adults who are just beginning to enjoy their first paychecks, or are just about a couple of years into the field of employment and earning. Credit is a poison coated candy for your first few years of earning – Unless you are sure that you are purchasing an asset that will give you more returns over the long run, let’s say a period of ten years, than the amount of money you lose in paying interest, there’s every reason for you to steer clear from any kind of credit. Mostly, students have their education loans to take care of when they begin their employment. To pile up thoughtless credit card bills on top of that just because every necessity and luxury item, right from a box of cereals to a jumbo jet, is available on credit and easy payment schemes doesn’t qualify as a worthy practice at all. Learn self control, and make it a habit to purchase non necessity items only when you have enough budgeted savings for them. If you embrace this rule, half your money management course is already over. Get awareness of financial terms to keep unscrupulous financial advice at bay – Early earners make for easy bait for mutual fund salesmen and other financial service providers looking to oversell unworthy schemes and products. Even then, you just can’t turn a blind eye towards the financial markets, as your money will not grow if you don’t invest it somewhere. Grab some popular personal finance books, and get some knowledge about the basic kinds of products in the market, and the purpose behind them. This will take you a long way in making yourself immune from unworthy investment schemes. Know your outflows – If there’s anything that seconds the suggestion of avoiding unnecessary credit, then that’s this one! It is amazing how little habits accumulate over the long term in the form of severe expenses. Travel, dining, clothes, necessity items – there are so many expense categories, and there’s every chance that you are overspending somewhere, entirely unaware of that fact. Thankfully, there are several money and expense management apps that let you record outflows as they happen, and neatly organize them under different categories. At the end of the month, see the percentage contributions of each towards the total expense, and make the necessary adjustments. The earlier you do it, the better it will be for you. Expect massive savings over the year with this method. Get down to half your outstanding loan as quickly as possible – If you’d taken an education loan, or need to take a home loan, then it is best advised that you get rid of the first half as soon as you can, as the first few months are when the real big interest expenses happen. The quicker you get the outstanding amounts down, more damage you control. So, if somebody advices you to take it easy on the monthly installments till the time you progress in your career, do the exact opposite. Not only will you have to pay minimal interest amounts this way, but will also be able to use your future earnings for more expensive and integral purchases. Is the future for finance directors going to be virtual?